This item is not available for purchase online. Please call (901) 388-0590 to order. Our soft-back cushion foam offers long-lasting durability with a variety of uses. 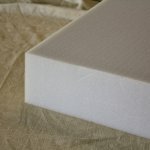 This foam rubber is ideal for softer applications where less support is desired, such as seat back cushions. 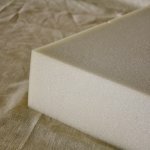 Foam slabs are available in thicknesses of either 4.0" or 5.0" and can easily be cut to your desired dimensions with an electric knife or scissors. Please visit in-store for professional custom cuts. *Please note: foam rubber is constructed from 100% polyurethane and is highly flammable.